Melbourne, Australia is considered one of the most liveable cities in the world. As we prepare to welcome the world’s attention for the 2006 Commonwealth Games, we are excited by the opportunity to show off our hospitality, our cosmopolitan culture and our many urban and natural attractions  not to mention our passion for sport. Melbourne is the state capital of Victoria, and its 3.2 million people from more than 140 nations form one of the world’s most harmonious and culturally diverse communities. The city lies on the traditional land of the Kulin Nation, including the Boonerwrung, Woiworung, Taungurong, Djajawurrung and Wathaurung peoples. 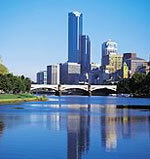 Melbourne is a thriving metropolis, having experienced a major period of renewal in recent years. There are 650,000 people living, working and visiting inner city Melbourne each day  a 25 per cent increase on just four years ago. By 2014, that number will increase over 50 per cent again. In less than ten years from now, the inner city alone will host one million people each weekday. Last year, the UK-based Economist Intelligence Unit (EIU) again nominated Melbourne (jointly with Vancouver and Vienna) as the best city in the world in which to live. The EIU measures health and safety, culture, environment and infrastructure when making their selections. It is a great distinction, but even the world’s most liveable cities can find ways to be more competitive and progressive. In a statement following my recent re-election  as the city’s first popularly elected Lord Mayor  the Council and I reaffirmed our commitment to improving Melbourne’s standard of living, so that young people, families and the elderly can continue to enjoy our great city. We always seek to lift the bar. I am pleased to offer a snapshot of my favourite city. Melbourne is characterised by its outstanding network of parks and gardens, ranging from classical 19th century heritage gardens with grand avenues of trees, to the 188ha Royal Park reflecting the Australian landscape. Last year, the Carlton Gardens and Royal Exhibition Building were World Heritage-listed  the only built environment in Australia with this distinction. The grand Royal Exhibition Building and its gardens are the world’s most complete surviving site representing the international exhibition movement of the 19th and early 20th centuries. I was also proud to open Melbourne’s first major central city park in more than 100 years, a $15 million project on the Yarra River, christened Birrarung Marr. Our strategic transport network includes Australia’s only curfew-free 24 hour international airport, its busiest container port and rail network, and a highly efficient system of roads, highways and freeways. The Port of Melbourne handles 67 billion dollars in trade each year. Tullamarine Airport recorded the fastest growth of international passenger movements of any airport in the country since 1998, and has been an important contributor to the city’s growth. Melbourne’s sporting temple might be the famed MCG, which hosts international cricket, our Australian Rules Football Grand Final and more. However, other venues such as the Rod Laver Arena, the home of the Australian Open Tennis Championships, are equally loved. We also host the Australian Formula One Grand Prix and the world famous Melbourne Cup horse race, with 350,000 race-goers attending the four-day carnival. The 2006 Melbourne Commonwealth Games will bring 90,000 overseas and interstate visitors, 6000 athletes and team officials, 3100 media representatives and a billion television viewers. It will be the largest sporting event to be staged in Melbourne since the 1956 Olympics, and we relish the chance to tell our story to the world. The City of Melbourne has committed more than $34 million to preparing the city for the Games, including new projects that will be a tangible legacy from hosting the Commonwealth Games. Following the Games, the world’s fifth biggest sporting event  FINA World Swimming Championships  will have 600 million television viewers tuning into Melbourne again in 2007. Before then, the Volvo Ocean Race, the world’s premier around-the-world ocean race, will stop at our new Docklands precinct early next year, bringing about $26 million in benefits. Docklands is the largest urban development in Australia, with seven kilometres of waterfront. By 2015, an estimated 55,000 people will visit the precinct each day. Apart from our passion for sport, our love of celebration has also made the city the national cultural capital, with people flocking to our wide range of major festivals and cultural events. This year our Moomba Festival  Australia’s largest community festival  celebrates its 50th year. The renowned Melbourne International Comedy Festival and Melbourne International Flower and Garden Show  the biggest event of its kind in the Southern Hemisphere  are other highlights of our diverse calendar. Business, commerce and building are booming. The number of businesses in our inner city has virtually doubled in recent years  127 per cent in 12 years  and conference seats have increased 72 per cent in seven years. Our new Convention Centre, a work in progress, will create thousands of jobs, generate an extra 250,000 hotel bed nights a year and inject about $129 million into the economy each year. Our newest public plaza, Queensbridge Square, will soon be connected, via a restored bridge, to a dynamic new youth precinct on the Yarra River’s north bank. The bridge will include a multi-million dollar sculpture, which will pay homage to our multicultural heritage. A major overpass will be dismantled and the surrounding riverbank area will flourish. Our biggest retail mall will be completely overhauled in its first major upgrade in more than a decade. Melbourne is a global attraction for learning and knowledge, home to nine universities  seven in the CBD alone. Students comprise a quarter of the City of Melbourne’s residential population. Education is our ninth largest employer. With the possible exception of London, Melbourne now attracts more higher education students per capita than any other city in the world. The City of Melbourne is strongly committed to creating a sustainable city. The City adopted the internationally recognised Melbourne Principles for Sustainable Cities, after proudly hosting the United Nations Charette which drafted them, in 2002. In 2002 I traveled to Johannesburg, South Africa to present a paper on “The Melbourne Principles” and also attend the Local Government Session of the World Summit on Sustainable Development (WSSD). We reviewed the progress made against the outcomes and agreements of the 1992 Rio Earth Summit and evaluated the implementation of Agenda 21 and ratification of the Conventions on Climate Change and Biological Diversity. I recently travelled to San Francisco to address over 60 mayors from around the world about Melbourne’s success in environmental sustainability, as part of the United Nations World Environment Day celebrations. It was also a great pleasure to welcome San Francisco to the UN’s Global Compact Cities Program. Melbourne is proud to have been the first city in the world to engage the UN’s Global Compact, which includes commitments to greater environmental responsibility, and to host its international secretariat. Melbourne hosts the Mayors’ Asia Pacific Environmental Summit next year, bringing regional representatives to develop action plans for environmental improvement. Pleasingly, the City of Melbourne has reduced its own greenhouse gas emissions by 22 per cent, based on 1996 levels. Reductions have been achieved through changes to our car fleet and the purchase of renewable energy, such as wind-power, for buildings and street lights. This places us well on the way to achieving our short-term target of a 30 per cent reduction by 2010. I am particularly excited about our Council's new office building development, CH2. Setting a new standard in sustainable design, it will be the world’s greenest multi-storey office building. CH2’s design has been given a six-star rating by the Green Building Council of Australia  the highest rating available, and considered world-leader status. It was also recently distinguished with the Green Building Award at the 2005 United Nations Association of Australia World Environment Day Awards, in June. In 1980, the City of Melbourne was the first Australian municipality to sign an economic, diplomatic and cultural sister city agreement with Tianjin, China’s fourth largest city. Since then, China has become the outstanding success story of our times  likely to become the world’s third largest economy. All the while, our relationship with Tianjin has been generating solid financial and social rewards. It has taught Melbourne a great deal about the benefits of building global relationships. Melbourne is the only city with a dedicated office in Tianjin. Recent successes include planning, urban design, retail and education contracts worth millions of dollars for local companies. The Tianjin office now has AusTrade correspondent Status and we have added dedicated trade development resources to the team. In recent years, the spirit of engagement has taken root in Melbourne. Last year the City of Melbourne, with Sweden, was named best city investment promotion agency by the London-based GDP Global Development. Our ‘BusinessMelbourne’ brand and website were ranked world class. In San Francisco we and the Victorian Government have a business office to boost access to biotech and info-technology industries. As part of our long-standing membership of the Business Partner Cities Network, Melbourne leads business missions to the annual roundtable, which includes 13 of Asia’s most dynamic business centres, including Mumbai, Osaka, Tianjin, Shanghai, Seoul, Hong Kong and Singapore. In our sister city of Boston, we have appointed an Honorary Business and Trade Representative to pursue opportunities in research, higher education, biotechnology and financial services. A MelbourneBoston Medical Research Exchange has been established, linking the Royal Melbourne Hospital and Massachusetts General Hospital. Last year we co-organised the BioTechnology Business Partnering Exchange Program with the City of Guangzhou, which generated eight potential partnerships between Melbourne companies and Chinese investors. The City of Melbourne is financially robust. Our current budget delivers a surplus and will see the investment portfolio deliver an 8.57 per cent return, helping fund many projects. Through sound financial management we have been able to deliver rate increases significantly below the national average for the past four years, while making major investments in new community infrastructure including roads, parks and recreation facilities. Once again, a strong balance sheet, significant cash reserves and low rates have helped the City of Melbourne maintain its AAA credit rating from ratings agency Standard & Poors. I am proud that Melbourne helps people in need. Supporting hundreds of hospitals and charities across Melbourne, the Lord Mayor’s Charitable Fund aims to empower disadvantaged and isolated individuals, families and communities. We do this through the creation of community philanthropy, by offering individual and corporations a way to give something of real value back to the community. In response the South Asian Boxing Day tsunami, the City of Melbourne made a significant donation and selected five projects to support in Sri Lanka. Representatives visited affected coastal areas in Southern Sri Lanka and meet with regional and associated local government agencies. We identified a specific need for the provision of education and training facilities for children and teenagers in damaged coastal areas. 2006 brings the Commonwealth Games, Melbourne’s chance to tell its story to the world. It also marks a personal milestone for me  a 15-year involvement with the City of Melbourne. I am delighted to be a finalist in the 2005 World Mayor Awards and am proud to serve the community. I believe that we must continue to balance the needs of our rapidly growing multicultural population with those of the international commercial forces which drive the growth of our city  lifting the bar for Melbourne, while maintaining our famous liveability. Melbourne businessman John So is Melbourne’s first popularly-elected Lord Mayor and was recently re-elected for a second consecutive term. John is one of Melbourne’s longest serving councillors. Before his election as Lord Mayor, he served three terms on the Melbourne City Council beginning in 1991 when he was first elected as a Central Ward Councillor. 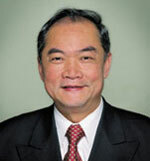 Born in Hong Kong, Lord Mayor John So moved to Melbourne at the age of 17. Not long after settling in to Melbourne, he achieved his matriculation at University High School and then went on to complete a Bachelor of Science degree and a Diploma in Education from the University of Melbourne. It was during his time as a university student that John first became involved in politics, forming the Overseas and Chinese Students Association and campaigning for the removal of the White Australia Policy. It was an early interest in social equity that would continue to see him represent the community on a broad range of business and social issues. After graduating, John taught science for eight years at a state secondary school, before starting his own business. John is passionate about promoting the City of Melbourne and works to facilitate business opportunities in the city, and to stimulate tourism, culture and investment in Melbourne. His vision for Melbourne includes creating closer links between the city and the water, whether that is the Yarra River or Melbourne’s Docklands. He celebrates Melbourne’s waterfront opportunities and since first elected to Council has worked to shift part of the city’s focus to the water. Always active in community affairs, John is particularly focused on projects for youth and older sections of the community. He is a Justice of the Peace, a former director of the Melbourne Water Corporation, patron of the Victorian Arts Centre and Chairman of the Victorian Chinese Welfare Centre. His ongoing involvement in various charities includes the Kidney Foundation, Cancer Council, Committee for Melbourne, Rotary, Lord Mayor’s Charitable Fund and the Bone Marrow Donor Institute. A former Victorian Ethnic Affairs Commissioner, John is committed to ethnic community welfare issues. He celebrates Melbourne’s links with Asia and endorsed the city’s International Relationship program identifying Osaka and Tianjin as priorities within the sister city program. Through the Business Partner City Network, John promotes the development of business opportunities in all the major cities of the region.